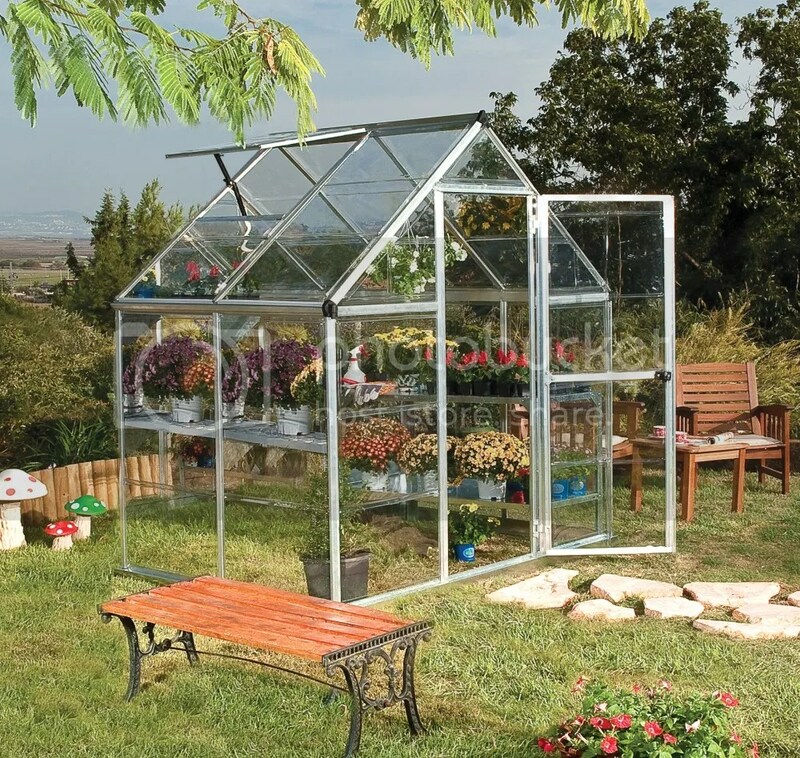 Lean to greenhouses offer the solution to some gardener’s space saving and best utilization of space requirements. Because a lean to can be attached to a wall, shed, outbuilding or your house they offer a very practical way of making the most of the space that you have available. The advantage of a lean to of course is that they aren’t merely limited to providing just a warm and protected environment for plants and vegetables but also providing exactly the same for the gardener, you ! Nothing beats relaxing in the warmth of the greenhouse, maybe listening to the radio and enjoying a coffee whilst tending your plants. 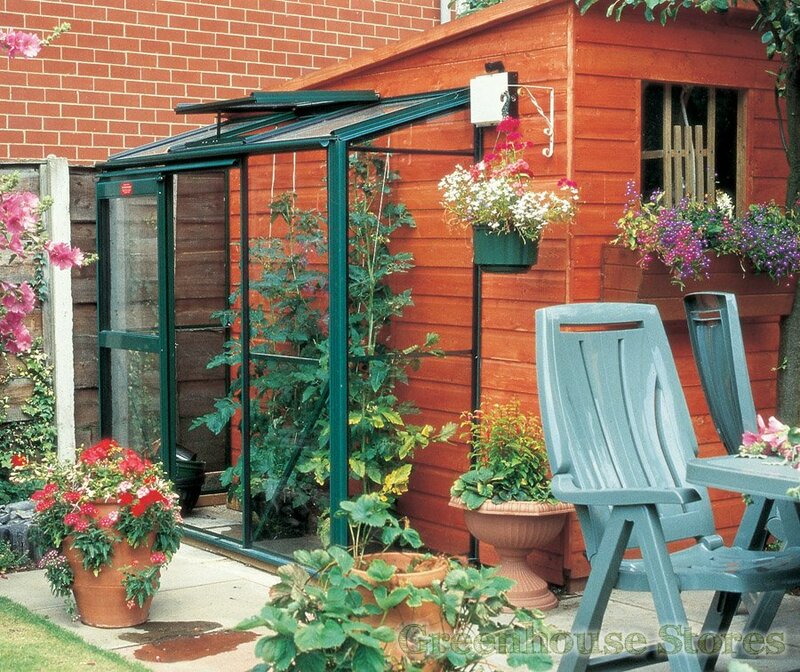 Lean to greenhouses are available in wood and aluminium with aluminium being the more popular mainly due to price and the fact that they require little or no maintenance. 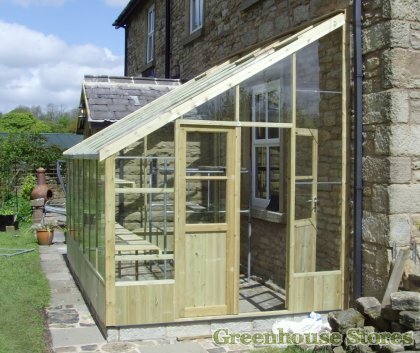 Wooden lean to greenhouses however offer a very classy traditional look that blends beautifully into any garden. Lean to greenhouses come in many sizes from 2ft wide through to 8ft wide and lengths up to and sometimes over 40ft ! The smallest lean to greenhouses are generally sized 4×2, that being 2ft out from your wall and 4ft across the doors. 4×2 lean to’s are produced by Palram, Vitavia, Elite and Halls in various colours and door types. The next size up is the 4ft wide lean to greenhouse produced by Elite in two model configurations. The Windsor is 4ft wide and features a low ridge for positioning the greenhouse against garages or single storey bungalows where height is minimal. Elite also produce the Elite Kensington 4 which offers a higher ridge. 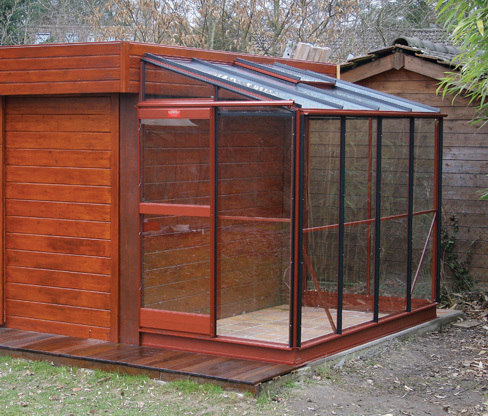 Swallow Greenhouses are made from redwood pine and are the finest wooden lean to greenhouses available. Made by craftsmen in the UK by hand these wooden greenhouses include installation at your property as part of the price meaning a stress free process from start to finish. 6ft wide lean to greenhouses tend to be rather popular and all of the big brands produce a range of models in this size. See below the Halls Silverline lean to and a wooden Swallow Dove 6ft wide lean to. The Halls Universal Greenhouse offers a lot of growing space for your money. The 8ft wide Universal is available in 8×10 and 8×12 sizes, each with a single sliding door and 2 roof vents. 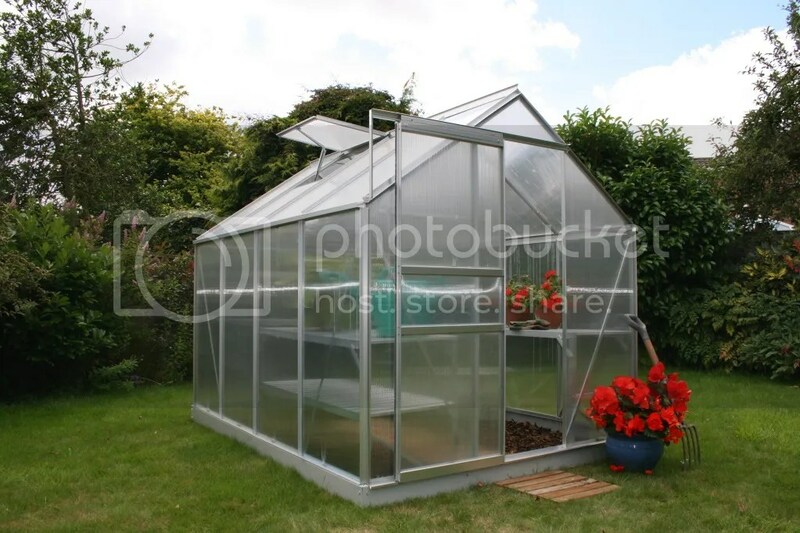 This Halls Greenhouse is available in silver and as a green greenhouse featuring horticultural or toughened glass or twin wall polycarbonate. There is a full range of Halls Greenhouse Accessories available including autovents, louvres, staging, shading and potting benches. 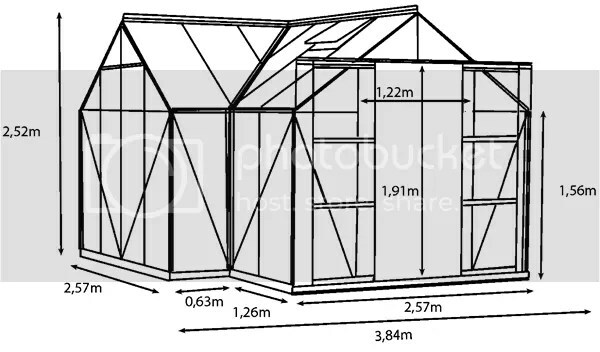 This is the next greenhouse in the range from the Popular greenhouse as it offers bigger sizes with additional bracing for strength. The new Vitavia Greenhouses model, the Sirius 13000 is certainly a scorcher! With an impressive eave height of 1.56m and ridge height of 2.52m the total growing area is 13 square metres, which means this spacious greenhouse has lots of space for growing plants, relaxing or a combination of the two ! The single panes of 4mm float glass provide exceptional clarity avoiding the slight green tint which can appear in standard horticultural glass and the float glass is held in place with a new black rubber capping system. A strong matching steel base and three downpipes come as standard, as do double doors and four roof vents. 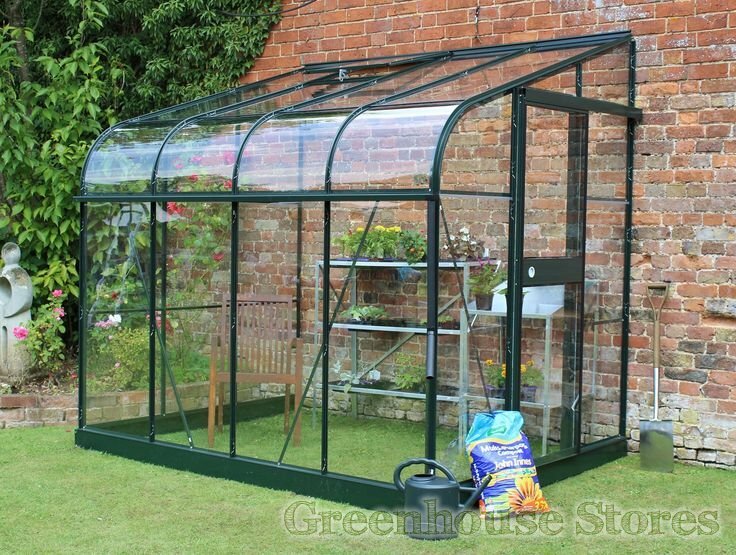 The Vitavia Sirius Greenhouse is available in anodised aluminium or powder coated green or black. This ‘orangery style’ greenhouse, being particularly attractive, shares it name appropriately with the brightest star in our skies. As with all Vitavia Greenhouses the quality is at the top of the tree and the finish unrivaled. 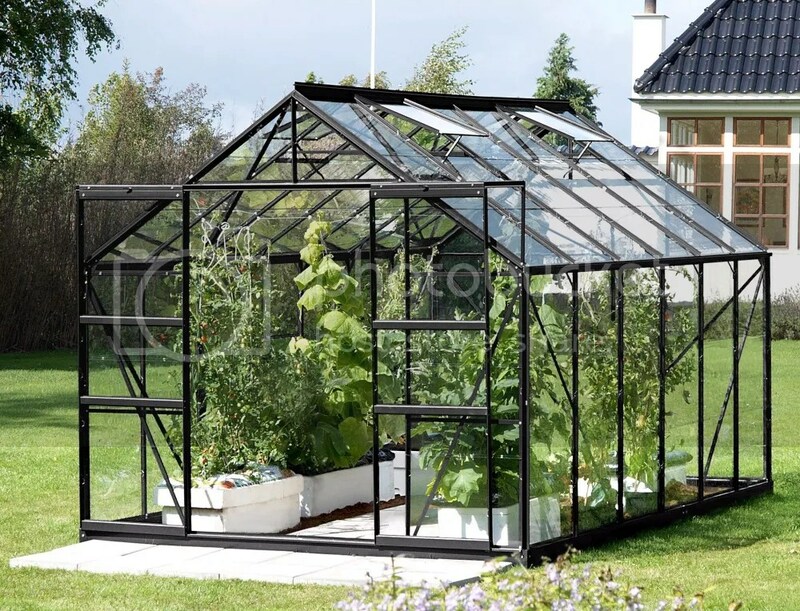 BUY The Vitavia Sirius Greenhouse now at Greenhouse Stores with FREE DELIVERY. The Sirius is now available in a black powder coated finish, so if silver or green isn’t for you then go for the new black model. It looks stunning it really does ! The Sirius is also available in Silver. Vitavia’s standard silver finish is anodized. The anodizing process keeps the silver frame looking shiny and pristine throughout it’s life without any nasty discoloring. 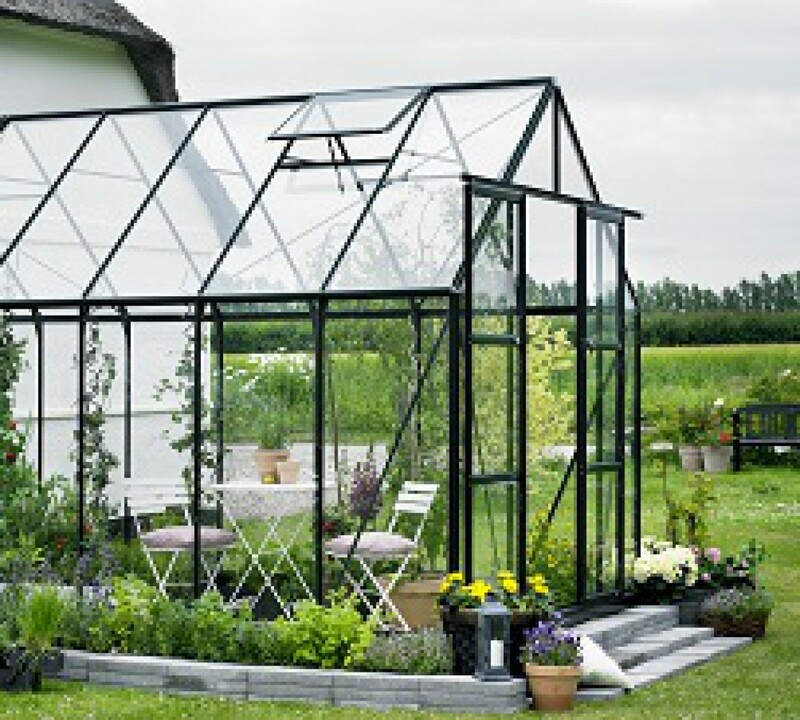 The Vitavia Neptune Greenhouse is Vitavia’s entry level 8ft wide model. The Neptune features a single sliding door, a width of 8ft 5″, a height of 7ft 7″ and start with an 8ft x 8ft model rising to 8ft x 14ft. The Neptune is available with a silver anodized finish or as a green greenhouse. If you have the space in your garden or on your allotment you really can’t beat the extra space that an 8ft wide greenhouse gives. More space for pots, vine plants, staging and starting off seedlings as well as more room to work in, especially if your gardening efforts are a family affair ! The Neptune is very competitively priced and an 8ft x 8ft model comes in at a touch over £500 which is great value when you consider you can pay near to that price for a decent quality 6×8 greenhouse. It is advisable though to pay a little extra for a steel base plinth as they give extra strength and stability to the greenhouse as well as something solid to anchor to a hard surface. An added bonus with Vitavia greenhouse bases is that they come equipped with corner posts that you can bolt into place at each corner to sink into post holes and then concrete in place. These posts give great sturdiness to the structure and mean you can even put the greenhouse on soft ground rather than slabs or a concrete pad. CLICK HERE to see the whole Vitavia Neptune range with FREE DELIVERY…. You can specify the Neptune with either 3mm horticultural glass, 4mm toughened safety glass or 4mm twin wall polycarbonate glazing epending on what you prefer or indeed where you intend to put your new greenhouse. 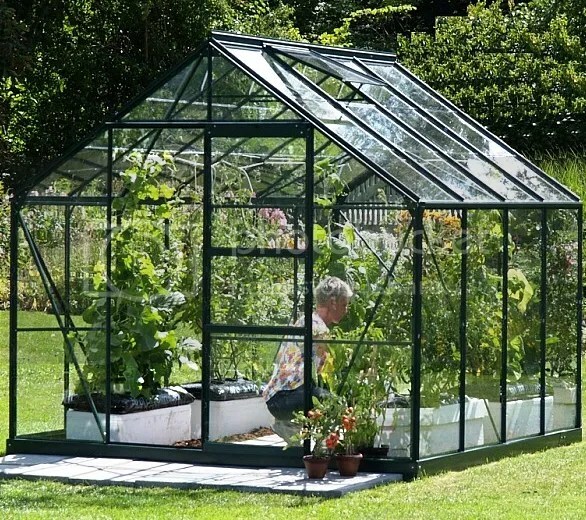 The Vitavia Neptune Greenhouse is a quality greenhouse with plenty of room that is ideal for your garden or allotment. 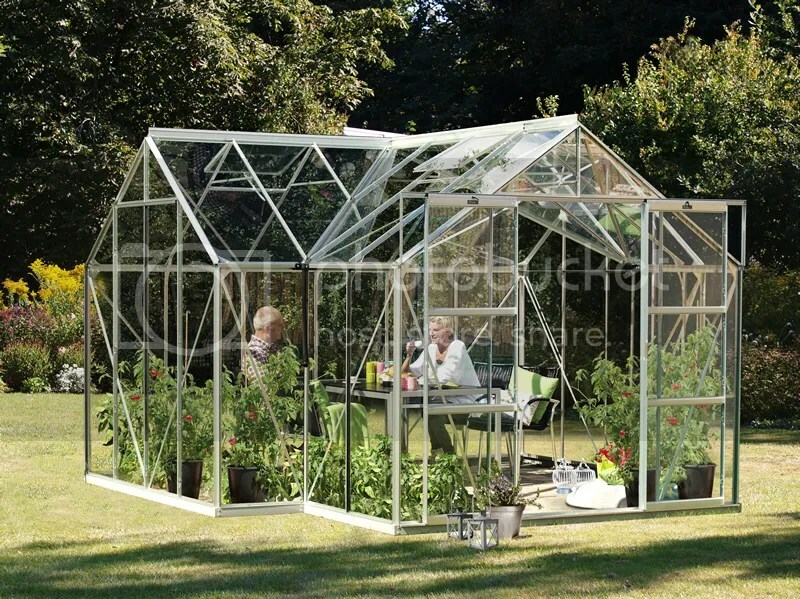 Which greenhouse: Glass or polycarbonate? One of the most frequent questions asked by greenhouse buyers who are new to greenhouses is “What’s best glass or polycarbonate?”. Traditionally greenhouses have always been glazed in glass both in the UK and abroad. In Germany for instance they have used frosted glass as it has the added feature of difusing UV rays ! However times are changing and so is the way we glaze our greenhouses. On the continent it has been common to use polycarbonate instead of glass and increasingly that is becoming the case here in the UK. The main advantage of polycarbonate over glass is its durability and strength and hence its safety benefits. Most greenhouses are glazed in 3mm horticultural glass which can be dangerous if broken as it breaks down into large shards which are extremely sharp. 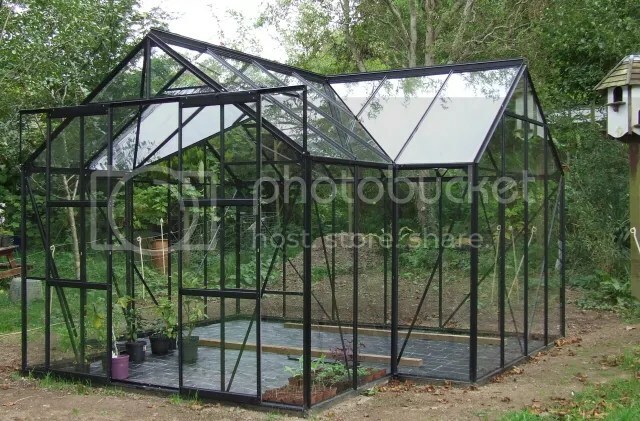 It is generally recommended that if the greenhouse is sited in a public place (allotment) or certainly where children or elderly people may be present that Toughened Safety Glass (to BS6206) or polycarbonate be used. Whilst toughened safety glass can still smash it breaks down into small pebbles like car windscreens or telephone box glass which is less dangerous that the shards of sharp glass with 3mm horticultural glass. Find a full range of leading brand toughened glass greenhouses at Greenhouse Stores. Polycarbonate glazing is highly recommended if you have children or animals running around your garden as any impact will merely result in the child or dog/cat bouncing of the polycarbonate panel or at the worst popping a panel out which can be put back in place simply and quickly. 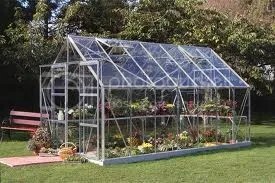 A collision of this type with a glass greenhouse or coldframe would result in serious injuries. 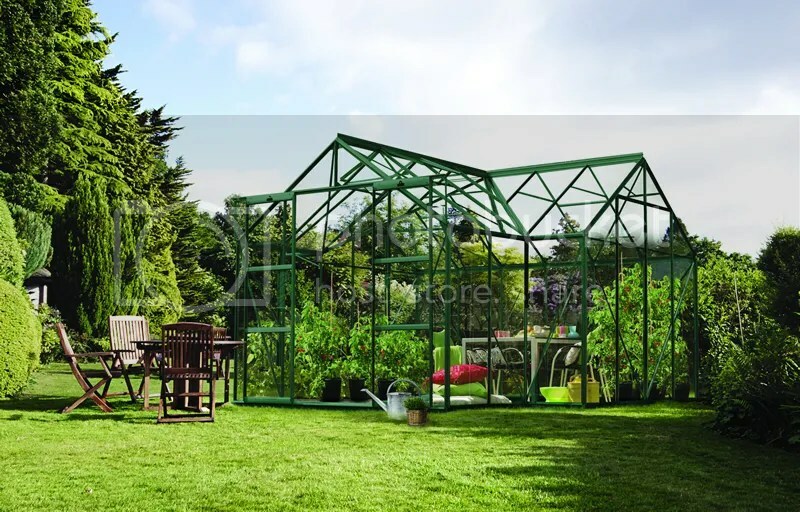 Polycarbonate greenhouses are also ideal for allotments and many local authorities now insist that allotment tenants use polygarbonate greenhouses rather than glass as part of their health and safety policy. Unfortunately greenhouses in gardens and allotments can also fall victim to vandalism and this is where polycarbonate has a very clear advantage over glass in that the cost of replacement polycarbonate is far cheaper and easier to source than glass. Generally speaking polycarbonate doesn’t smash so whether the wind has blown out a panel or a local vandal has knocked out a panel then it can simply be put back in and be secured with clips or glazing strips. The insulation properties of polycarbonate are excellent. The most popular form of polycarbonate and by far the most effective greenhouse polycarbonate is 4mm twin wall polycarbonate sheet. This polycarbonate has a thermal insulation “R value” of around 1.42 whereas horticultural glass has an “R value” of around 0.93. 4mm twin wall polycarbonate also out performs glass where protection of your plants from harmful scorching UV is concerned also as it effectively diffuses light coming into the greenhouse whilst maintaining 80 to 85 % light transmission. Polycarbonate greenhouses are becoming cheaper to buy with the advent of the “grow your own” trend and it’s possible to get yourself set up with a polycarbonate greenhouse from around £200. All major greenhouse manufacturers now offer polycarbonate glazing as an option on their greenhouses and some manufacturers such as Gardman and Palram specialize in polycarbonate greenhouses. 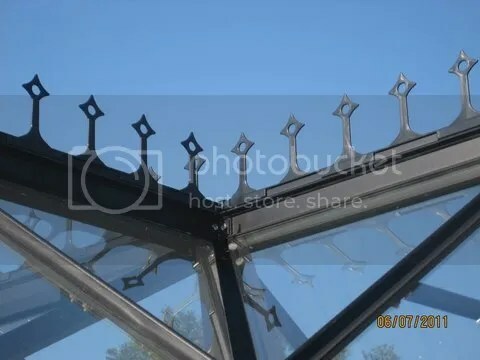 A toughened glass greenhouse is the perfect choice for many greenhouse gardeners that live in temperate climates like the UK where the greenhouse may be exposed to high winds. Because toughened glass is supplied in one sheet (long pane) that goes from floor to eaves it is nice and heavy, it’s also generally thicker than normal greenhouse glass at 4mm. The extra weight in toughened glass gives your greenhouse much greater resistance to high winds and will stop your greenhouse frame from moving and twisting as the heavy glass keeps each section “square” under wind loads. Of course the biggest advantage of glass over polycarbonate is that you can see inside the greenhouse from the outside, therefore you can be looking down your garden from inside your house and still gaze lovingly at your tomatoes ripening !